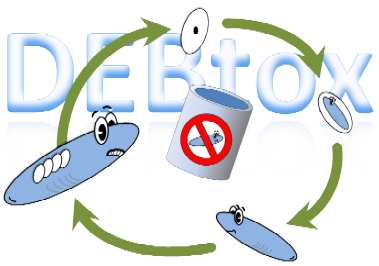 DEBtox Research specialises in the development and application of mechanistic models in eco(toxico)logy. My focus is on working with models based on Dynamic Energy Budget (DEB) theory (at the moment especially DEBkiss) and the General Unified Threshold model for Survival (GUTS), but I am also experienced in toxicokinetic modelling. My modelling expertise comes with an extensive knowledge of the statistics associated with fitting models to data and the calculation of confidence intervals (incl. intervals on model predictions). And, last but not least, I love to write, as you can see from my publication record. These models can be applied to a wide range of species (basically: all), and an enormous range of fundamental and applied research questions. You can think of studies aimed at understanding stressor effects of toxicants and environmental factors (e.g., ocean acidification, starvation), but also more fundamental topics (e.g., biology of ageing, linking the molecular level to life-history traits, inter- and intra-species differences in life history). I am happy to discuss the possibilities of these models to address your research question, so please contact me if you are interested. Data analysis using models, specifically DEB-based or GUTS models, but also TK models. Advice on the most appropriate design of experimental tests for parameterising models. Collection of literature data and their analysis using DEB-based or GUTS models. Model predictions with above-mentioned models for untested scenarios. Publication in scientific peer-reviewed journals and presenting the results at conferences. Scientific advice and training on the subject of modelling and model applications. Even when I have insufficient time available to work on your project within a given time frame, it is useful to contact me. For more standard GUTS analyses in a regulatory setting, I would like to redirect you to Bongers EcoTox Services, where I act as an advisor. For DEB-based work, I collaborate within the DEBnet network of professionals. I also collaborate with Roman Ashauer from the University of York, especially on GUTS-related work. Every other year, I organise a summer course on TKTD modelling together with Nina Cedergreen, Roman Ashauer and Starrlight Augustine on TKTD modelling (specifically, using the DEBkiss model). If you want to learn about the basics of TKTD modelling, DEB theory, coding and fitting, in a friendly way: this is the course for you. We are currently rethinking the course contents and format, so you can expect some changes from the previous courses. More information.